This freshly painted condo offers 2 bedrooms & 2 baths. Ideally located on the ''Secret'' garden at El Dorado. Private balcony. El Dorado is a resort-style senior community for active adults. Valet service, meals in the beautiful dining room, maid service, linen service, transportation services, organized activities, cable, water sewer & more are all provided. This 712 square foot multi family home has 1 bedroom and 1.0 bathrooms. 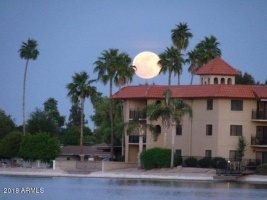 It is located at 10330 W Thunderbird Blvd Sun City, Arizona. BEST VALUE ON THE LAKE! CONDOMINIUM LIVING! Just over 1,000. sq ft on the 1st floor. Large entertainment area, 2 baths, nice wood floor, large patio too. Great location to everything.Resort style living with meal plan, cleaning & linen service, cable, water/sewer, trash. You even have transportation services & valet parking available. 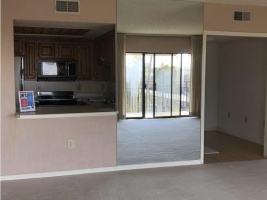 First floor north facing 1 bedroom, 1 bath condo on the lake located in the highly sought after El Dorado Condominium Community is move-in ready. This lake view condo has a full kitchen, family room, bedroom, bath, walk-in closet and patio to relax and enjoy the lake views. Luxury living in this spacious 2 bedroom + den, 2 bath condo. Leave the worries & work behind. 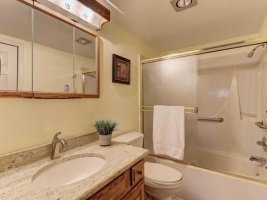 This unit has a walk in jacuzzi in the master bath with an extra large water heater to accommodate it. Patio has very nice sun screens for privacy & you also will enjoy a very nice view of the lake! 1250 sq. ft.! Come in & make it your own. This Condo offers full service a resort lifestyle that never ends! 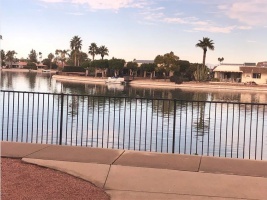 Each day greets you with a beautiful Arizona sunrise overlooking Viewpoint Lake enjoyed from your private patio or great room. Expansive views overlooking grassy areas from the patio to the lake and walking path. Enjoy two large bedrooms with private baths and large walk in closet spaces.